Part 1- Take 2 capsules each morning on an empty stomach. Part 2- Take 3 capsules each morning with 8 ounces of water and 3 capsules each evening with 8 ounces of water. Or, take 6 capsules each evening with 8 ounces of water. May decrease to taking 3 capsules once daily if bowel elimination is sluggish. Drink plenty of water while using this product. Part 3- Take 2 capsules each night with 8 ounces of water. 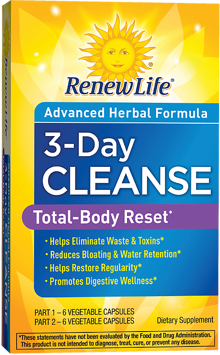 Total Body Cleanse is an easy, three-part cleansing program made with organic herbs and fiber to give you a more gentle cleansing experience. Part 1 supports detoxification; Part 2 helps with the removal of digestive toxins; Part 3 promotes healthy bowel elimination. Other Ingredients: Vegetable capsule (vegetable starch and water). 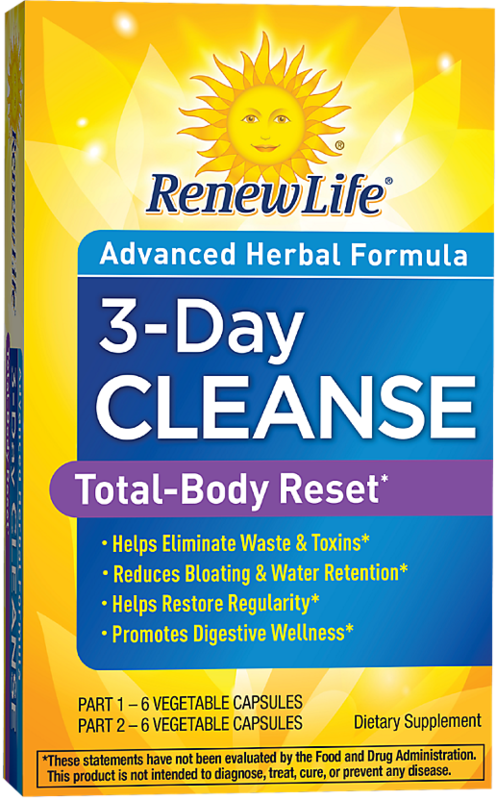 Herbal Cleanse (Step 1): Take 2 capsules each morning on an empty stomach. Fiber Blend (Step 2): Take 3 capsules each morning with 8 ounces of water and 3 capsules each evening with 8 ounces of water. Or, take 6 capsules each evening with 8 ounces of water. May decrease to taking 3 capsules once daily if bowel elimination is sluggish. Drink plenty of water while using this product. Colon Cleanse (Step 3): Take 2 capsules each night with 8 ounces of water. Do not use this product if you are pregnant or nursing. Consult your healthcare professional before using this or any product if you are trying to conceive, taking medication, or have a medical condition. Not for prolonged use. Do not exceed recommended amount. Notice for Part 2: Using this supplement without at least a full glass of liquid may cause choking. Do not use this supplement if you have difficulty in swallowing, acute cough, or obstructed bowel. Notice for Part 3: This product contains rhubarb. DO NOT USE IF YOU HAVE OR DEVELOP ABDOMINAL PAIN, DIARRHEA, OR LOOSE STOOLS. Read and follow directions carefully. This program is not to be used more than four (4) times per year. Store in a dry place at 59-86 F (15-30 C). Title your review * (150 character max) Share your opinion * (4000 character max) How would you rate this?